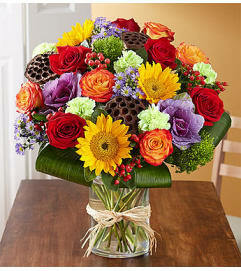 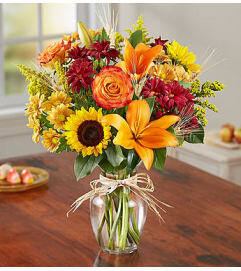 Decorate the party in style with a bounty of truly original Autumn arrangements. 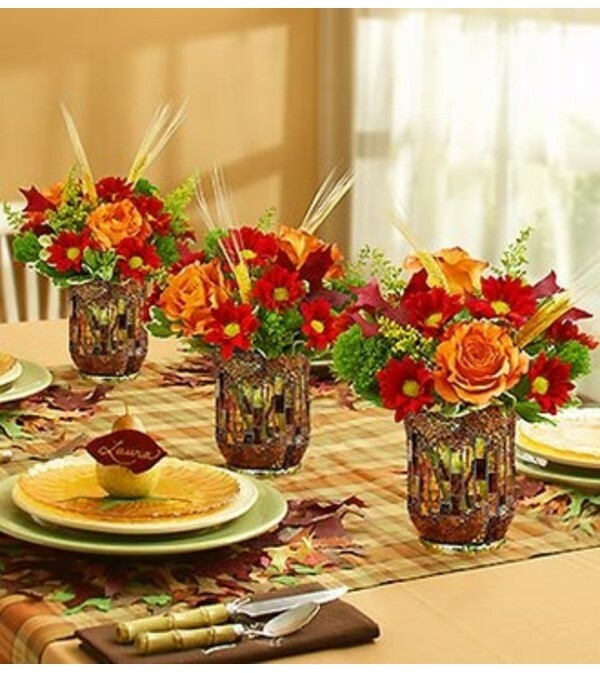 Our florists gather stunning bouquets crafted from the freshest roses, poms, trachelium, solidago, dried oak leaves and wheat inside a trio of keepsake amber glass hurricanes. Place them throughout the home to impress your guests or give them as gifts to make lots of loved ones smile.